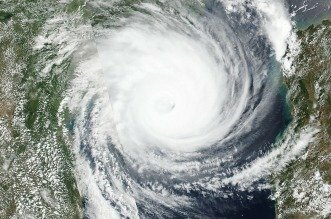 THE number of people killed by Cyclone Idai-induced floods in the eastern part of the country could spike following revelations that current official statistics could be excluding figures from Dzingire Growth Point, popularly known as Kopa in Chipinge which was possibly the hardest hit area, but still yet to be fully accessed by rescue teams. 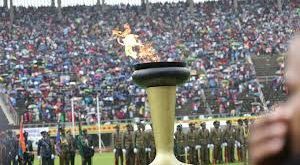 Local Government minister July Moyo yesterday said 98 people have been confirmed dead with about 217 still unaccounted for, but villagers at Kopa yesterday said the statistics did not include the figures from their area. Kopa experienced some of the heaviest devastation of the floods after three rivers burst their banks and changed course to create a confluence at Dzingire, which is located in a valley, some kilometres from Chipinge. The flood water washed away a whole residential area, destroying over 80 houses and leaving a trail of destruction with hundreds of people still missing five days after the heart-rending development. The villagers said most of the missing residents of Dzingire could be dead and buried under huge stones that now occupy a vast area that used to be the residential suburb at the growth point. The unaccounted include police officers and their families residing at a police station which was also washed away by the floods, agricultural extension workers, teachers, businessmen and other residents whose houses were also swept away by the floods. Headman of the area, Dudzai Ndiyadzo said they feared that dozens of missing people might all have perished and either buried under the huge stones or had been swept away into Mozambique. “As villagers, we come here everyday, try to comb through the debris with the hope of getting closure to our relatives who are still missing. It is devastating. 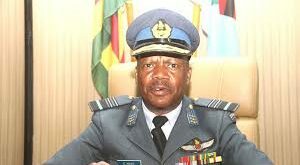 Helicopters started accessing the place yesterday (Tuesday) because of bad weather and of all the people who were washed away last Saturday, only less than 10 bodies have been recovered,” Ndiyadzo said. Narrating the ordeal, taking NewsDay around a place that used to have over 80 homes, Ndiyadzo said most people did not take heed to the floods warning because similar warnings were made of Cyclone Eline in 2002, but the effects were not as devastating as what happened last week. One of the villagers who lived in the wrecked suburb, Samson Dhliwayo said he was sure official statistics excluded Kopa casualties, where schoolchildren lodging in the area also perished. “This is where the three rivers met. Nyahode was carrying huge stones deposited there (pointing at what used to be the residential area),” Dhliwayo said. The villagers said there were possibly no survivors in some families. Most of them were washed away while taking refuge at the police station when water levels started swelling before the police station was also swept away. 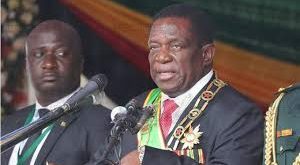 When NewsDay visited the area, hordes of people were complaining of hunger as they waited for the arrival of Mnangagwa, who later touched down in the afternoon and promised to bring food for the stranded residents, who have been cut off from the rest of the country. 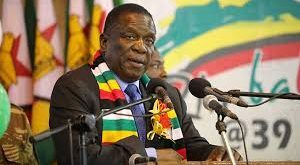 Food distribution efforts, in all the cyclone-hit areas, were reportedly suspended for a day to pave way for Mnangagwa’s visit to Chipinge and Chimanimani.